Ok, maybe not so much of a tech innovation, but a functional tool nonetheless. We’ve all been there, waking up in the middle of the night scrambling get to the washroom, tripping over everything in our path. Under the bed nightlights provide a dim illumination while making your room look pretty slick at the same time. It's motioned activated too, only going on when you step out of bed and not disturbing you while you sleep. At Kyoto Threads, we’ve spent countless hours developing a bed sheet that conquers all bedding. The result? A healthy, more sustainable bed sheet with maximum comfort. Using bamboo as a raw material, a lyocell fibre and a plant-based dying process, our bed sheets offer a luxurious and silky feel while eliminating harmful toxins and maintaining a sustainable and environmentally friendly approach. They're really the first of their kind! Check us out now live on Kickstarter and order your set at these wonderful Kickstarter prices. How clean are your hotel bed sheets? How clean are your hotel bed sheets? We've done some research and you may not like what you're about to find. Beware - we've warned you! We all have them. They’re perfect to bring those leftover dinners to work the next day. Unfortunately, plastic breaks down over time, especially after countless times of running them through the dishwasher. Once the breakdown begins, the plastic releases dangerous chemicals into your food. Another thing you should make sure to never do is put the plastic containers in the microwave. The alternative: switch to glass containers (and make sure not to drop them)! You just cooked a delicious fish filet for dinner and now are expecting guests over for a couple of drinks. It’s easy to turn to air fresheners to tidy up the fishy smell in the house. The problem is, anything you breathe in eventually ends up in your bloodstream. This includes scented spray cans, scented candles, and plug-ins, all of which contain phthalates chemicals which have been linked to reproductive problems. The alternative: switch to candles made with essential oils and fresh flowers to freshen up your home. You definitely don’t want to be that person that reeks of B.O. on the crowded, humid bus ride. 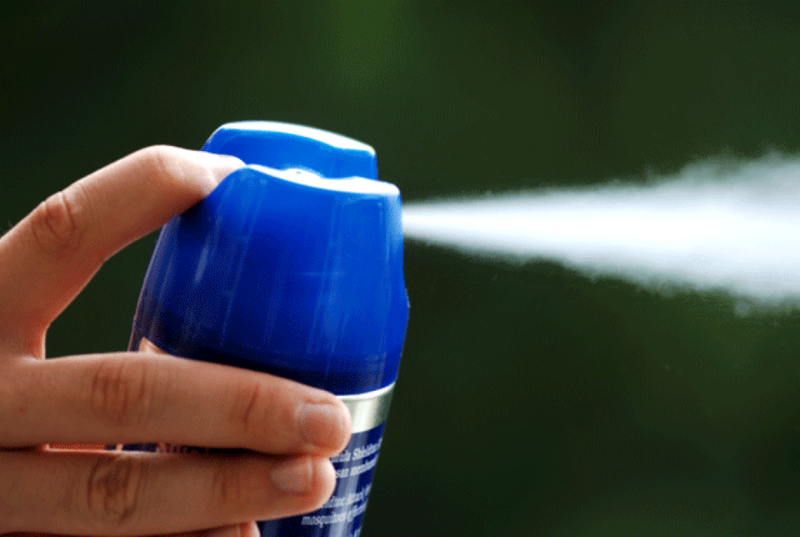 But many antiperspirants use aluminum-based compounds and other toxic chemicals which are absorbed into sweat glands. This doesn’t sound like the best option for your body. So how do we stay smelling clean and fresh throughout the day? The alternative: look for aluminum-free antiperspirants and chemical-free brands of natural deodorants. Are you noticing a trend here? 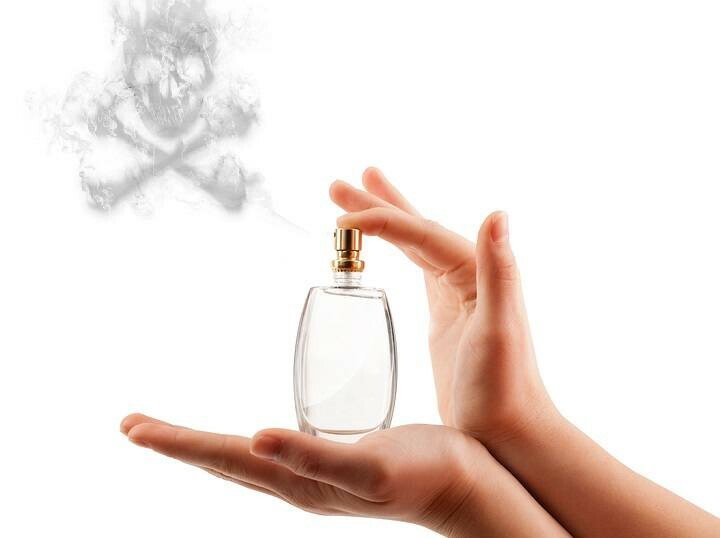 Anything that makes us smell good, or the air around us smell good, could potentially pose a threat to your health. Perfumes can translate to a product containing upwards of 300 chemical ingredients. To further the problem of perfumes, their makers won’t release lists of the exact ingredients for fear of divulging secrets to their competitors. Ahh, the struggles of smelling good! The alternative: switch to products that are scented with natural oils. We all dread the sticky mess found at the bottom of pans that come as a result of cooking a delicious meal. For that, we turn to nonstick pans to save us from hours of scrubbing. The problem is many nonstick pans contain trace amounts of a chemical called perfluorooctanoic acid which has been shown to cause cancer in laboratory animals. Over multiple uses of these pans, the nonstick lining scratch or chip off into your food. The alternative: use cast iron or stainless steel cookware, and natural, non-stick sprays such as olive oil. That’s right, your bed sheets! The very thing you lay on every night when you go to sleep. Heavy amounts of pesticides and fertilizers are used in the production of cotton with 25% of the world’s pesticides and 7% of the world’s fertilizers coming from cotton. On top of that, the dyes that give your sheets color contain high amounts of toxic chemicals. The alternative: switch to bamboo bed sheets with a natural dyeing process. In fact, Kyoto Threads is working on precisely that. We’re launching our Kickstarter campaign for our bamboo bed sheets with a natural, plant-based dye on October 26th. The sheets incorporate an incredible new plant-based dyeing process based on traditional Asian medicinal roots, fruits, and vegetables — completely non-toxic and gentle on the skin! BONUS: the sheets have that incredibly soft and silky feel that makes getting out of bed an incredibly difficult task. Keep up to date with our campaign by subscribing here. By entering your email, you’ll automatically be entered to win a free set of sheets!